A glue gun consists of trigger that is pressed by the user to spray the liquid adhesives on the surface of the broken items. 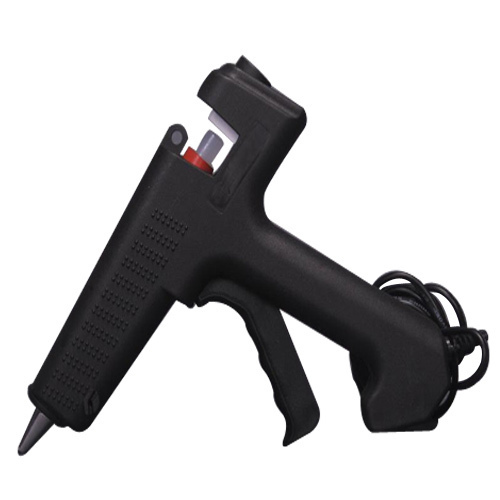 All glue Dispensing guns of our company is manufactured & Supplied strictly on the well defined parameters. Our glue sprayers are extensively used in the toys, home appliance, furniture, fancy items, packaging, shipping companies and others. Established in the year 1983, we, United Sales (India), are a renowned company dealing in a wide range of industrial tools and equipment. We are manufacturer, distributor and supplier of Electric Screw Drivers, Bolt Cutters, Silicon Sealant Guns, Nippers, Drill Machines, Riveters, Cable Cutters And Strippers, Glue Guns, Tool Boxes, etc. We are also a manufacturer of Hole Saw Cutters. Our products are widely appreciated in the market for their outstanding features like superior functionality, easy installation, robustness and durability. We are authorized distributor of Bondhus, Jonard Ok, Crossman, Prokit's industries & Klein Tools.